Economy for the Dogs | When Do They Serve The Wine? Things may or may not be really stabilized over there, but it’s heading that way. So maybe this little girl can get a puppy after all. Americans are buying now, it appears. 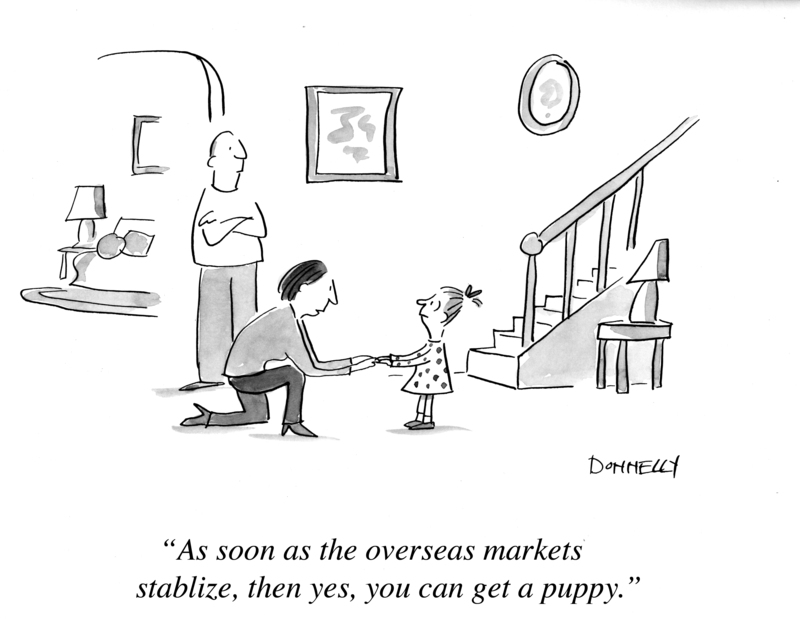 Why not buy a puppy to boost the economy? Think of all the things you can buy to boost the economy after you get a puppy. Dog food, treats, cleaner spray, paper towels, dog beds, chew toys, camera, leash, collar, dog training classes, Halloween dog costume, flea spray, tick medicine, worming pills, vet bills…it’s endless. But so worth it. This entry was posted in Random but Relevant and tagged dog, economy, Puppy, shopping, world economy. Bookmark the permalink. food, bird & lizard coffins, lint-rollers for your black clothes,…Hmmm. Never mind. haha! How about a snake? They don’t take much. parakeet: seed cakes & newspapers — I can do that!